This is a picture that i took during my time at the Bimini Biological Field Station. The picture is of a juvenile lemon shark, Negaprion brevirostris, swimming towards the camera with another juvenile visible in the background. 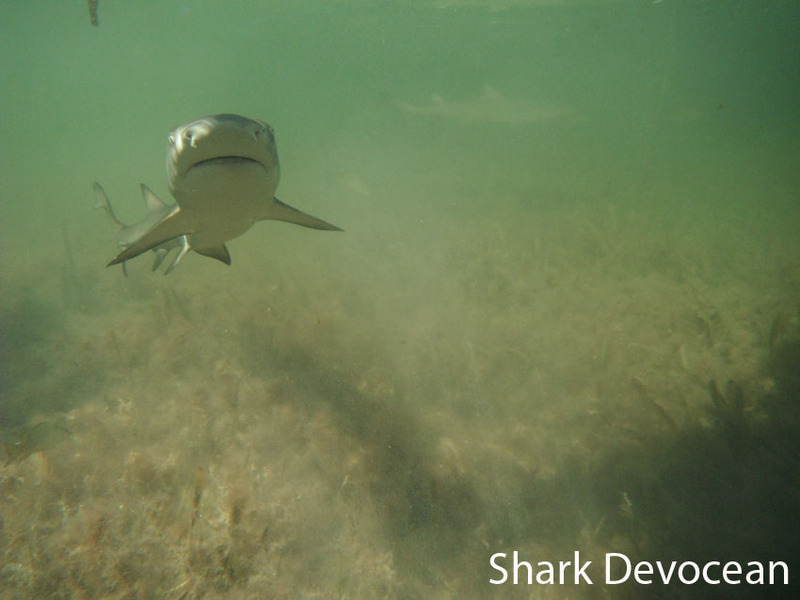 The mangroves surrounding the Bimini Island are essential nursery grounds for lemon sharks but unfortunately the construction of a holiday resort threatens these beautiful sharks. The on going work and research performed at the lab will be essential to preserve their habitat, as well as monitor and tag other shark species that reside in the islands waters.